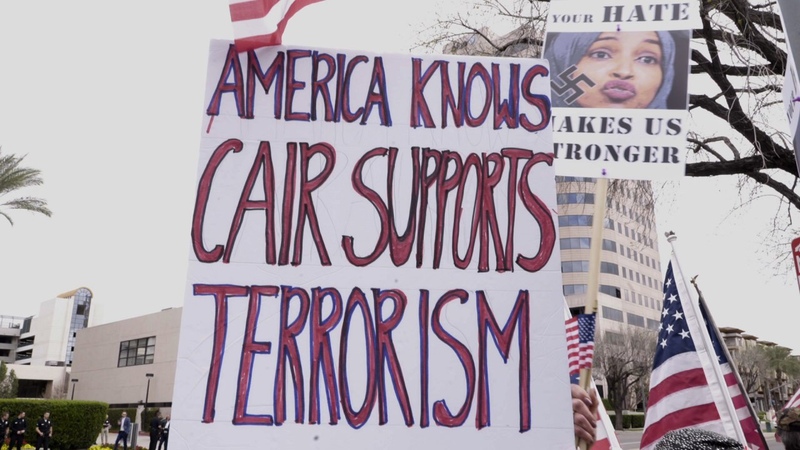 Congresswoman Ilhan Omar attended a fundraiser for CAIR last night, at the Hilton in Woodland Hills, CA. 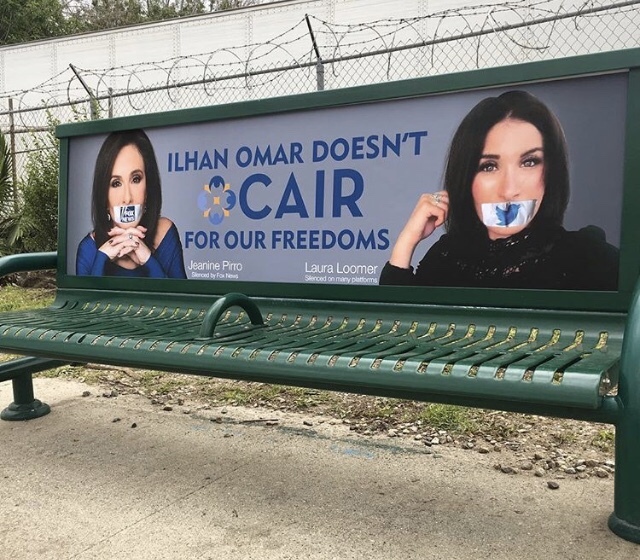 The group, which has known ties to both the Muslim Brotherhood and HAMAS seems almost an unthinkable move by a politician already in hot water for previous unapologetic anti-Semitic remarks about Israel. 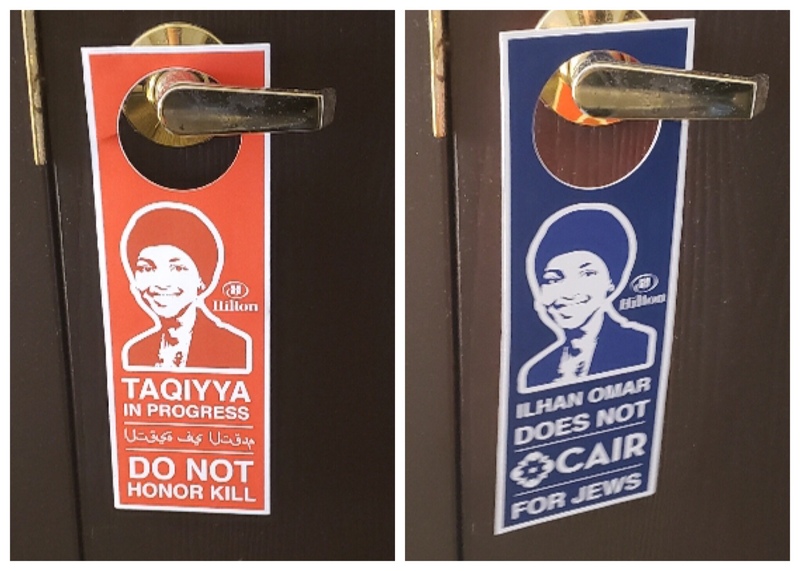 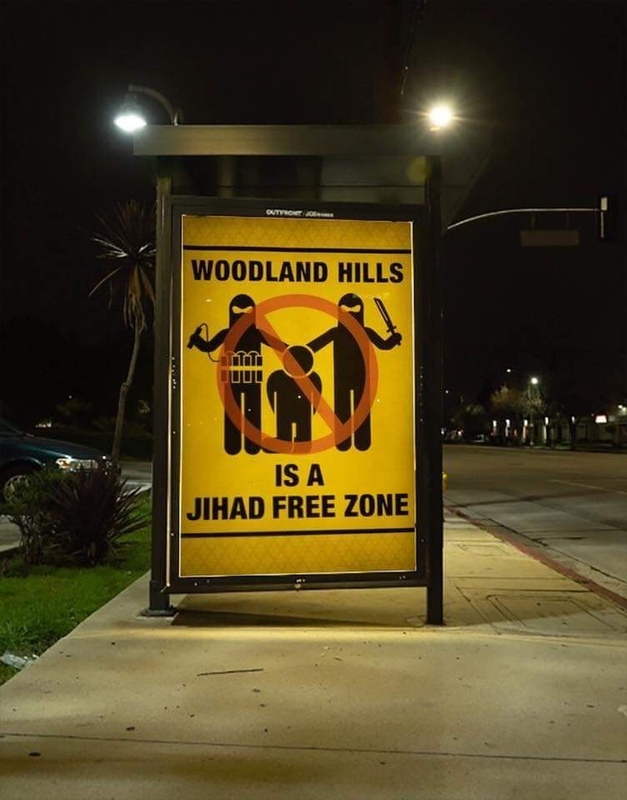 Shariah Law posters also mysteriously began popping up all over town preceding the event….as well as these door hangers which were hung on Hilton hotel rooms. 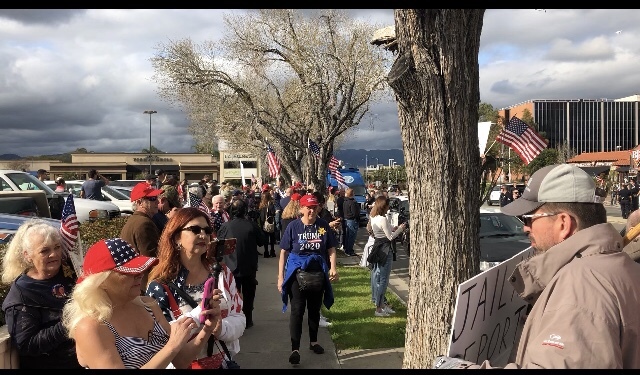 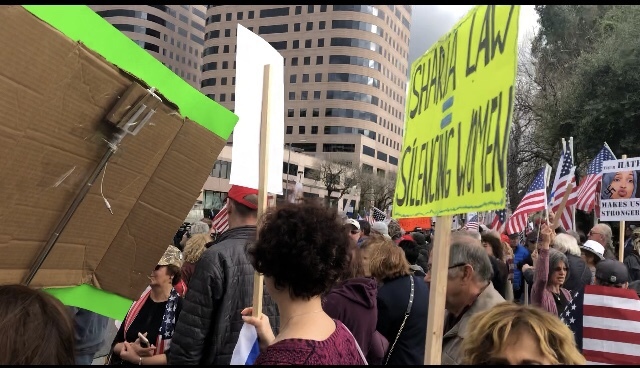 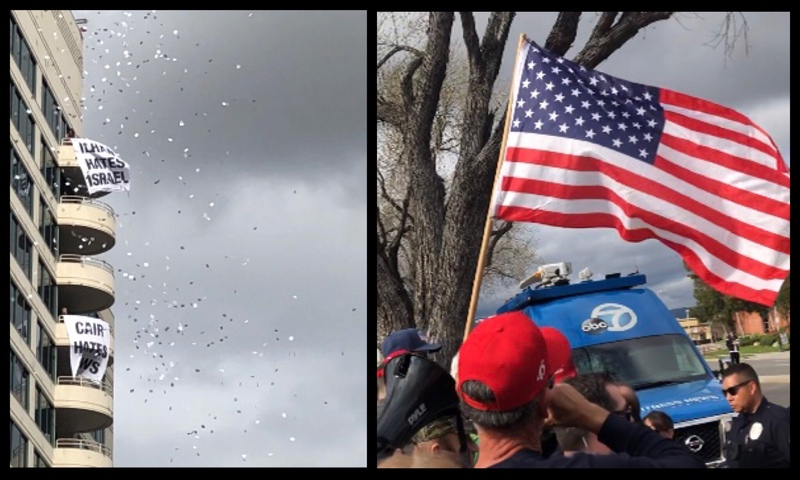 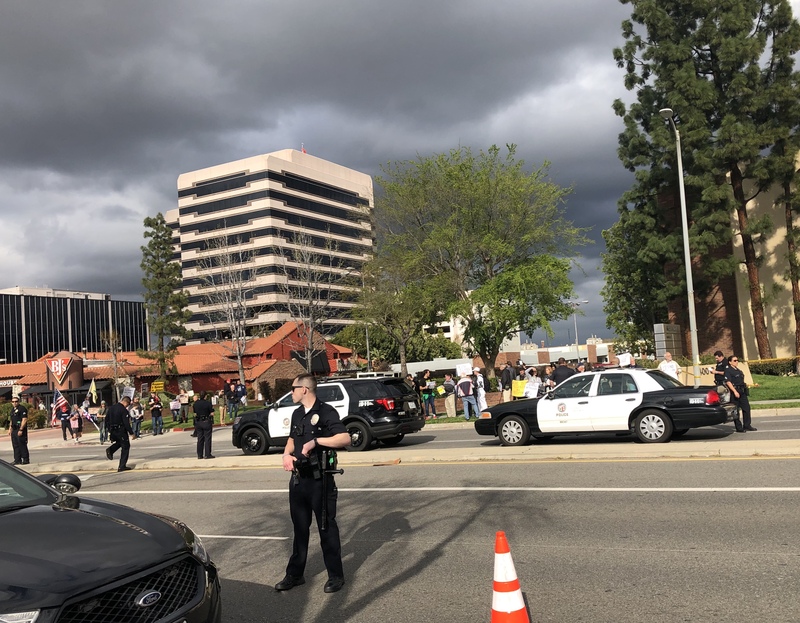 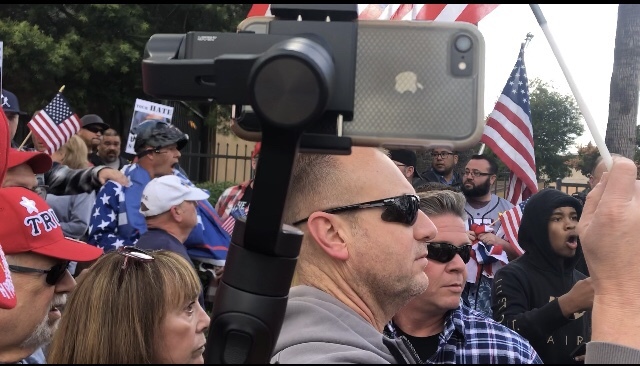 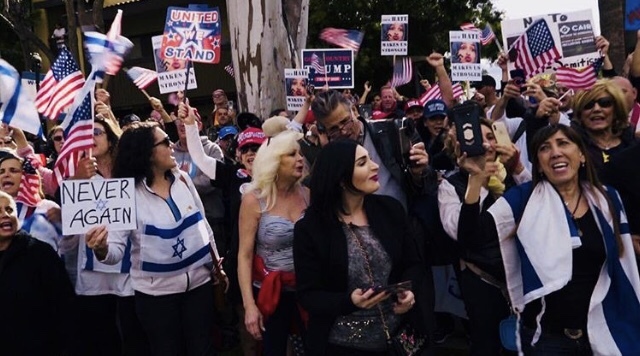 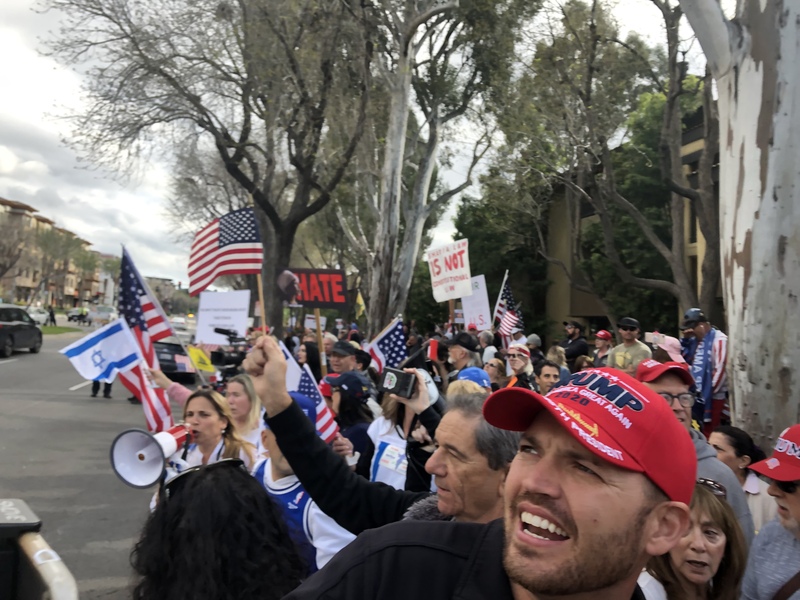 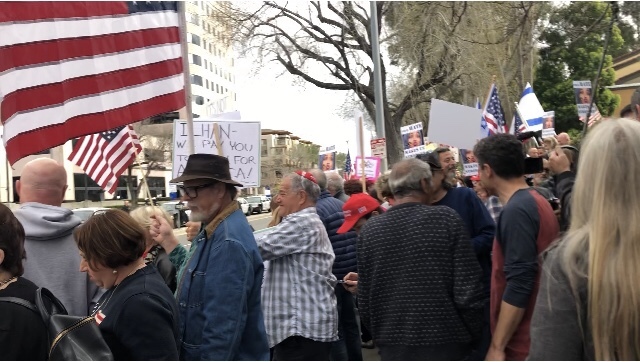 A city block of over 1,000 patriots showed up in a peaceful protest across the street from the hotel on Canoga drive waving flags and chanting against Shariah Law, anti-Semitism, and Ilhan Omar in general. 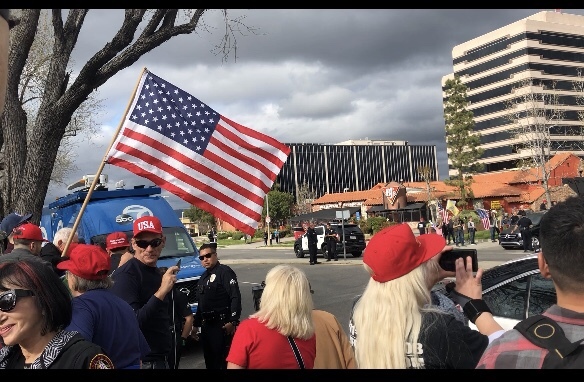 There were no arrests, no garbage cans kicked over, law enforcement were polite and professional….there were two troublemakers that were dejected immediately and that was the end of it. 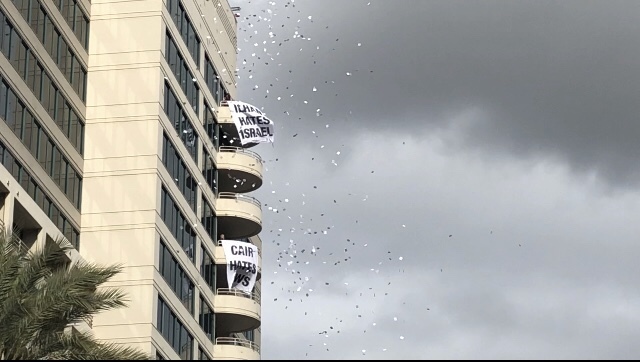 The moment was made even more momentous, by the release of banners and flyers off the Hilton upper balconies in protest as the crowd roared with cheer. 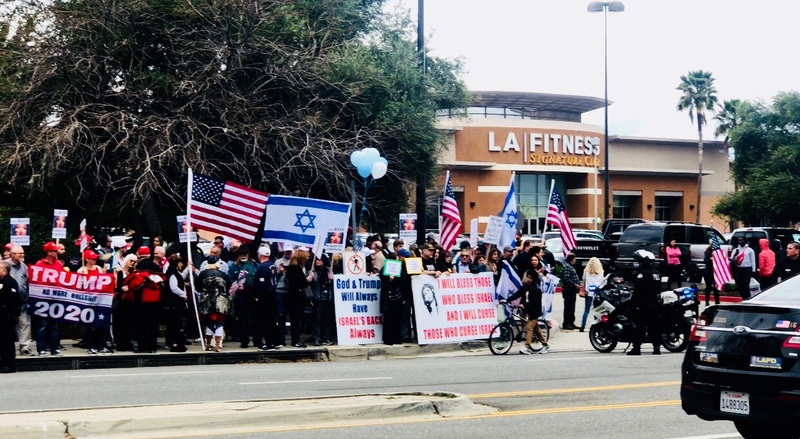 It’s clear that this fundraiser was held on both the Sabbath and in the bastion of liberalism…Los Angeles, in hopes that no one would speak out against it…but we did. 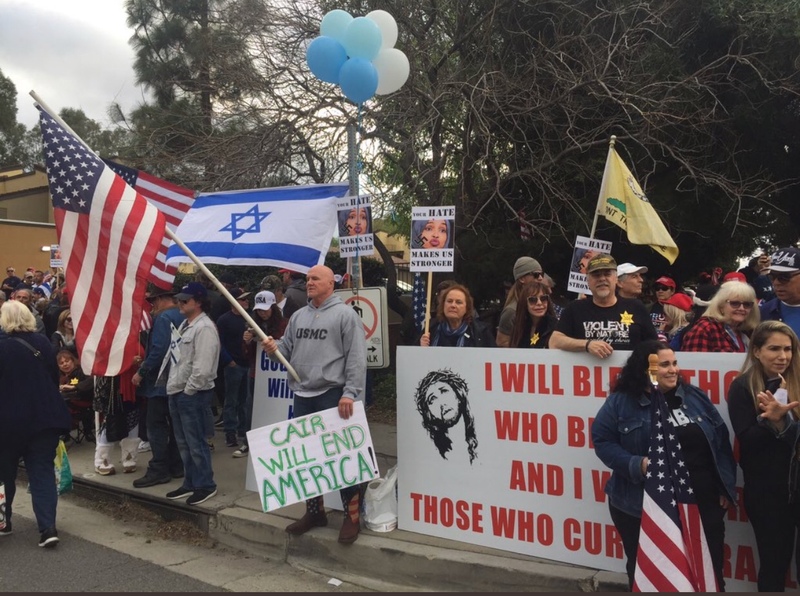 With amazing support from Trump supporters, Jewish Americans, and patriots from all over the country. 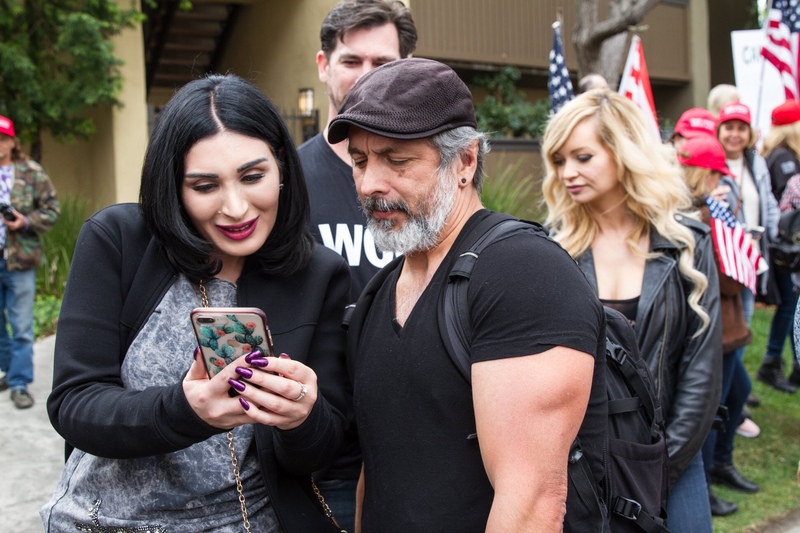 Notable conservatives in attendance for support were Laura Loomer, Ricky Rebel, Sabo, Jacob Wohl, Fleccas, among many others.